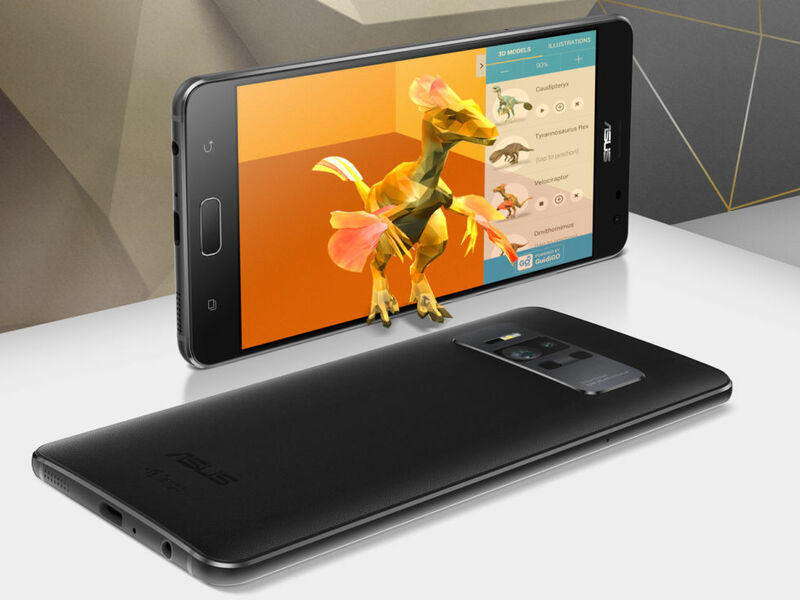 Asus Zenfone AR is the world’s first high-end Tango enabled smartphone and also the first phone to pack a whopping 8GB RAM. It comes with a 5.7″ Super AMOLED screen that packs a healthy 2560*1440 resolution and comes with Corning Gorilla Glass 4 protection. It has a high contrast screen that allows for ease of readability in indoor as well as outdoor. The phone weighs at 170gms with maximum thickness of 8.9mm. 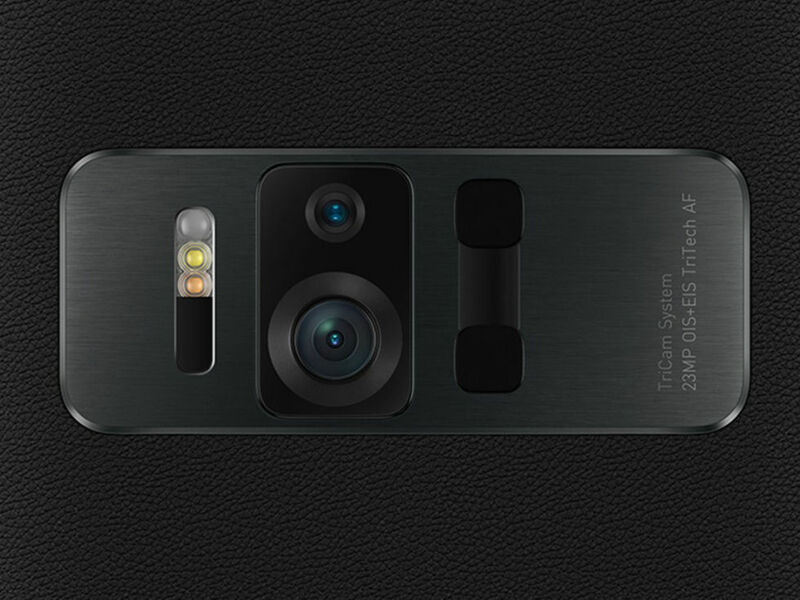 The back has a burnished leather like finish similar to what we’ve seen on Zenfone Zoom. Under the hood, it packs a Qualcomm Snapdragon 821 SoC clocked at 2.35 GHz coupled with Adreno 560 GPU. Comes in two RAM variants of 6GB and 8GB and internal storage of 32GB/64GB/128GB/256GB with an ability to bump it upto 2TB via microSD card. The phone also packs a 3300mAh battery that supports QuickCharge 3.0 via USB Type-C port and runs on Android 7.0 Nougat with Zen UI customizations on top of it. Comes with fingerprint sensor, IR sensor, NFC, Dual SIM LTE support as well with other latest connectivity options. Motion tracking camera lets ZenFone AR track its location as it moves through space. Depth sensing camera with an infrared (IR) projector lets ZenFone AR measure its distance from real-world objects. High-resolution 23MP camera lets you view virtual objects in your actual environment in stunning detail. On the front is a 8MP camera with f/2.0 aperture, 85 degree wide-viewing angle and dual tone LED flash. Coming with a support for Google’s Daydream VR out of the box, the Zenfone AR will be launched in Q2 2017 which is a long time from now. The pricing and availability in specific regions is yet to be announced. We will keep you posted as we get to know more! Update (13th July 2017) – At an event in New Delhi earlier today, Asus has launched the Zenfone AR in India. The device is priced at Rs. 49,999 and will be available exclusively on Flipkart. With the purchase of Zenfone AR, Flipkart is offering a discount of Rs. 2500 on Google Daydream VR headset.